Why is the US military sending 100 marines to Syria? Is there a declaration of war in effect? Did Assad attack the USA? The marines were deployed via assault helicopter to Al-Tanf military base, located in Syria’s Homs Province, which borders Iraq. The drill includes air assaults, supported by artillery barrages. “Our forces will demonstrate the capability to deploy rapidly, assault a target with integrated air and ground forces and conduct rapid exfiltration,” said spokesman for the US Central Command, Captain William Urban. The drill was launched after the US Army reported that Moscow had issued two warnings that it is planning to conduct operations against militants in the area. The use of the wording “precision strikes” in one of the notes had “sparked alarm with US commanders,” CNN reported on Friday, citing its own sources in the Pentagon. 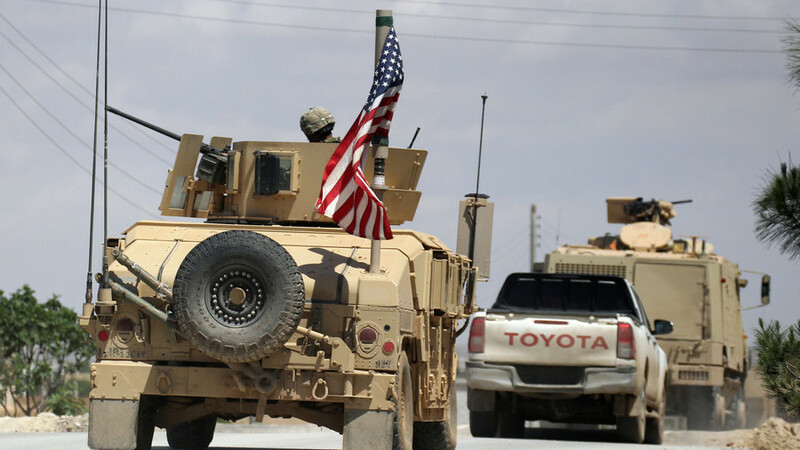 Russia had repeatedly stated that it considers the US military outposts in Syria to be illegal, since they were not authorized by the Syrian government. Moscow has suggested that the US is using the Al-Tanf base to get a foothold in the country. “During the existence of the base, we don’t know of a single US operation against IS [Islamic State, formerly ISIS] in the area,” the Russian Center for Reconciliation reported last week.